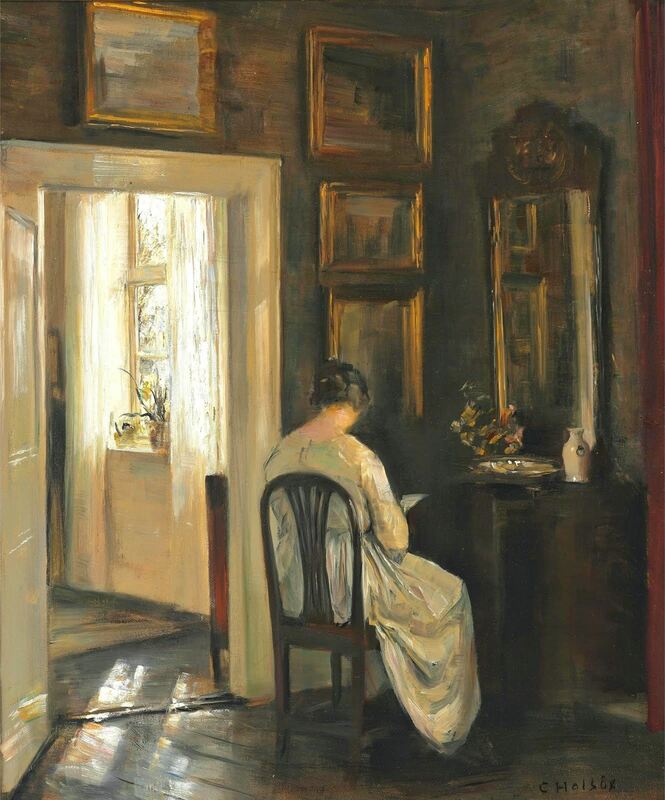 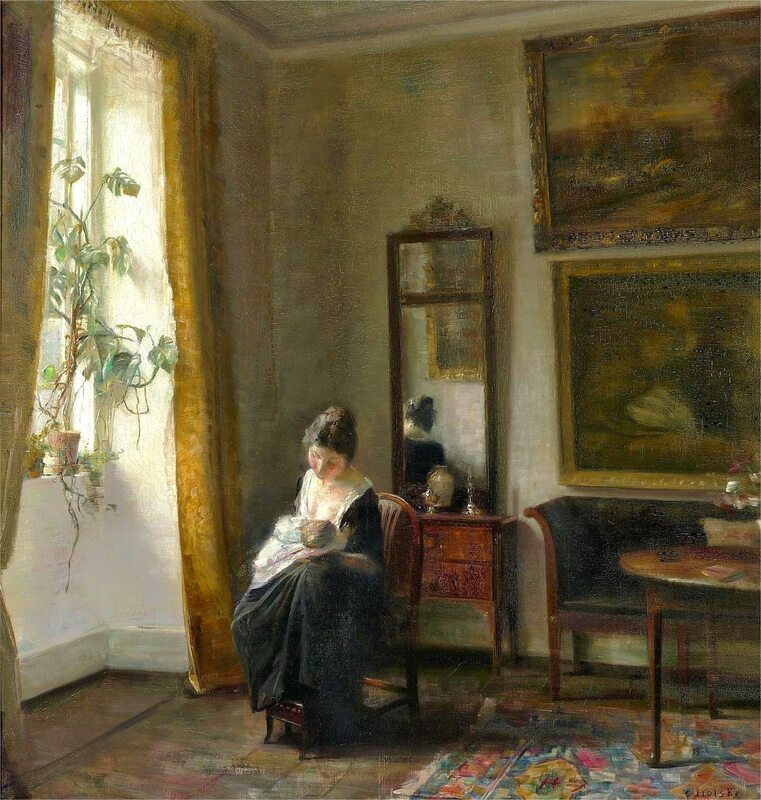 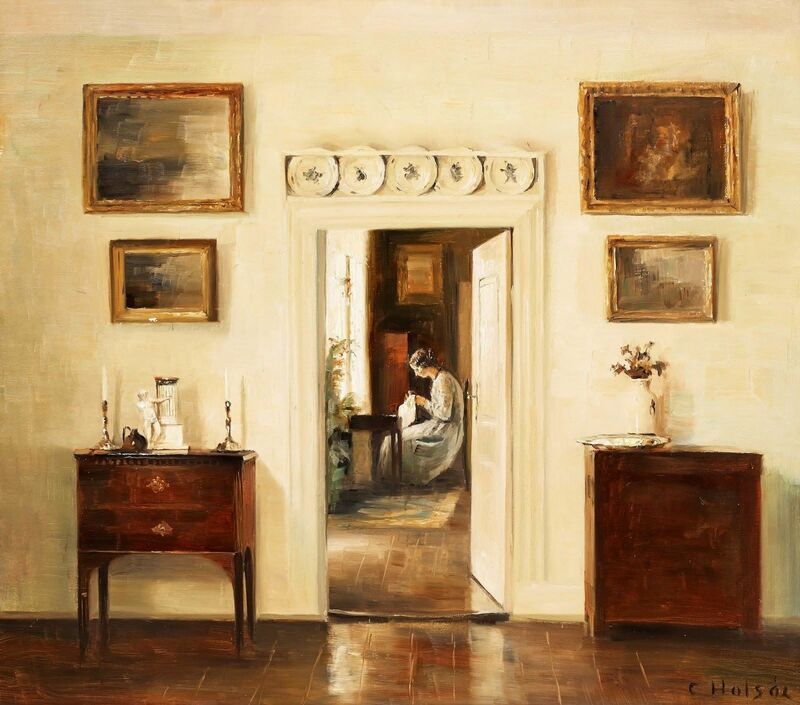 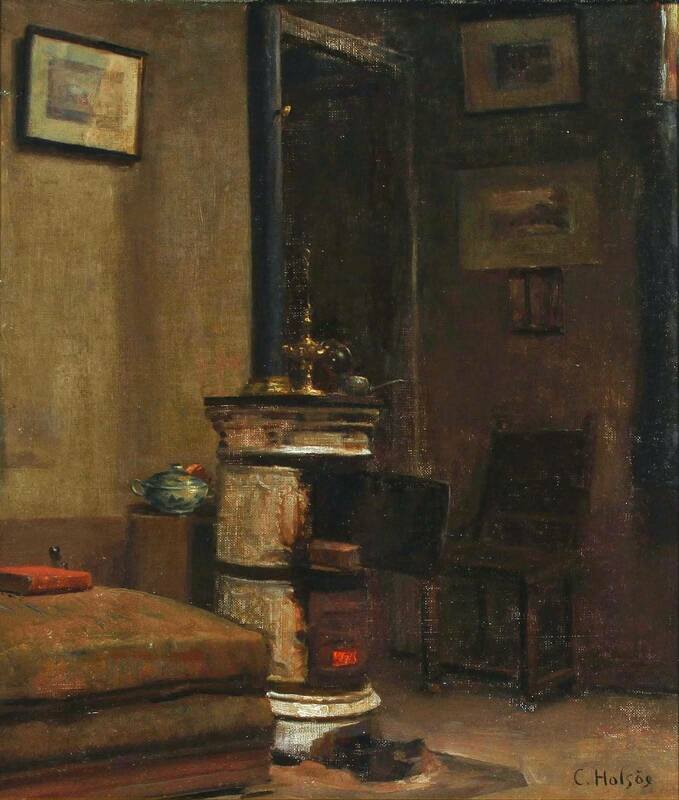 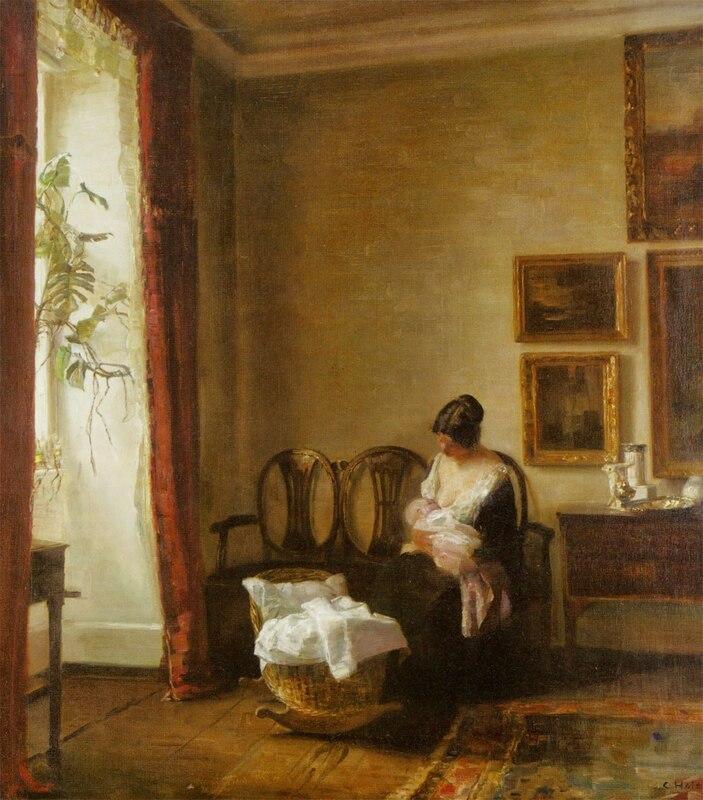 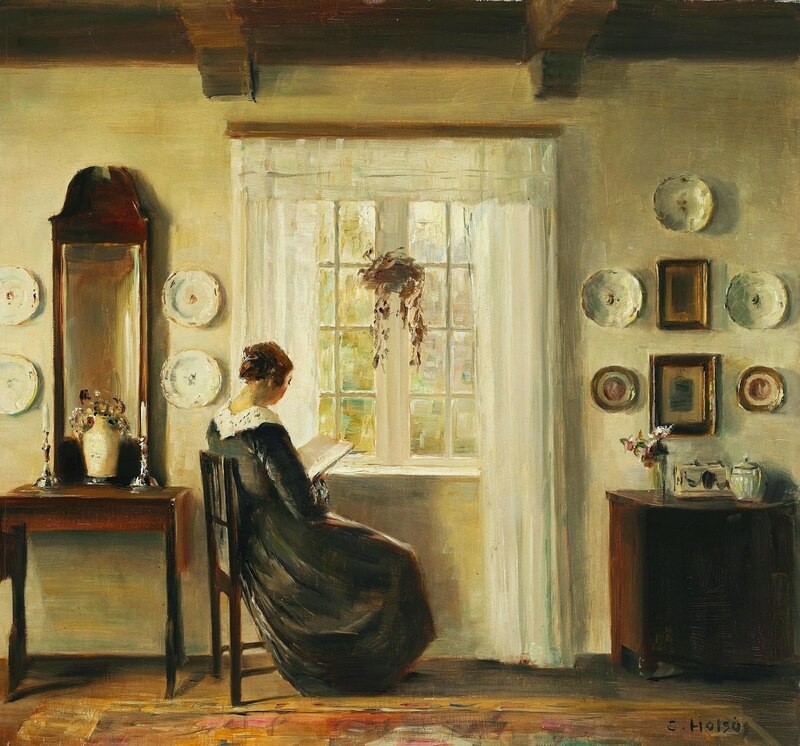 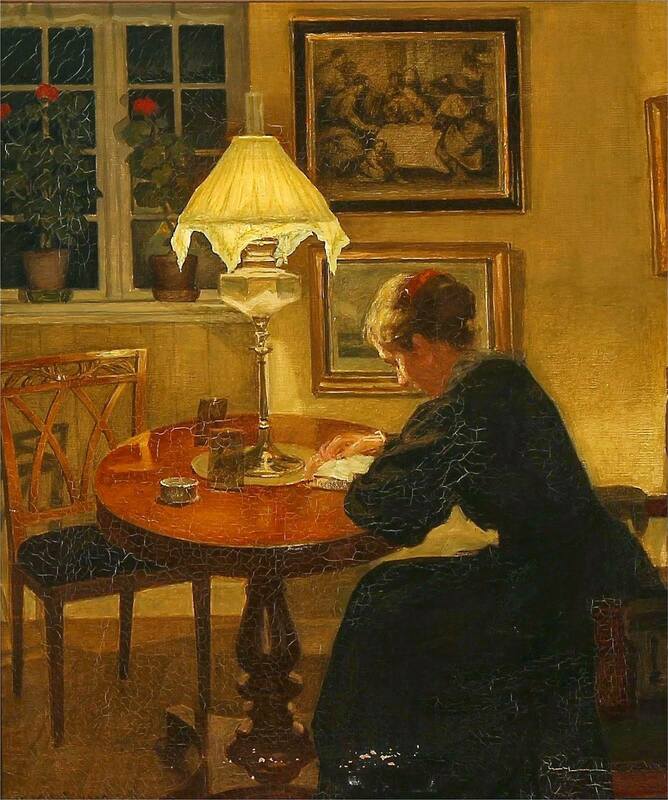 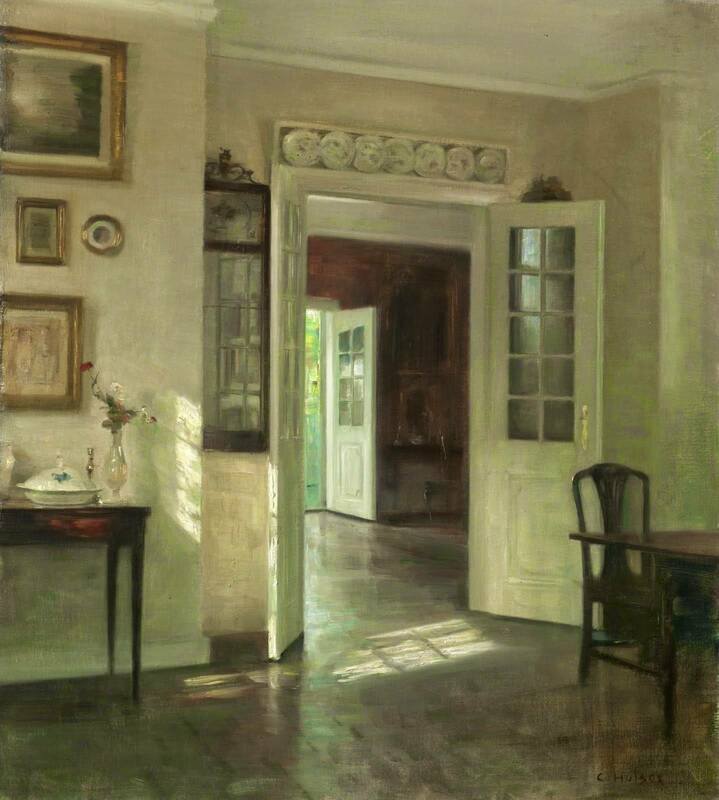 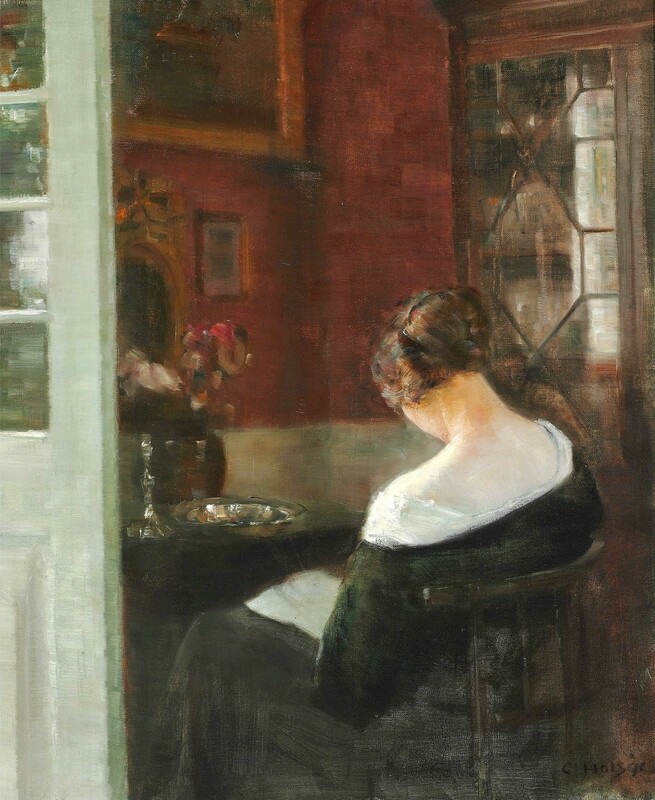 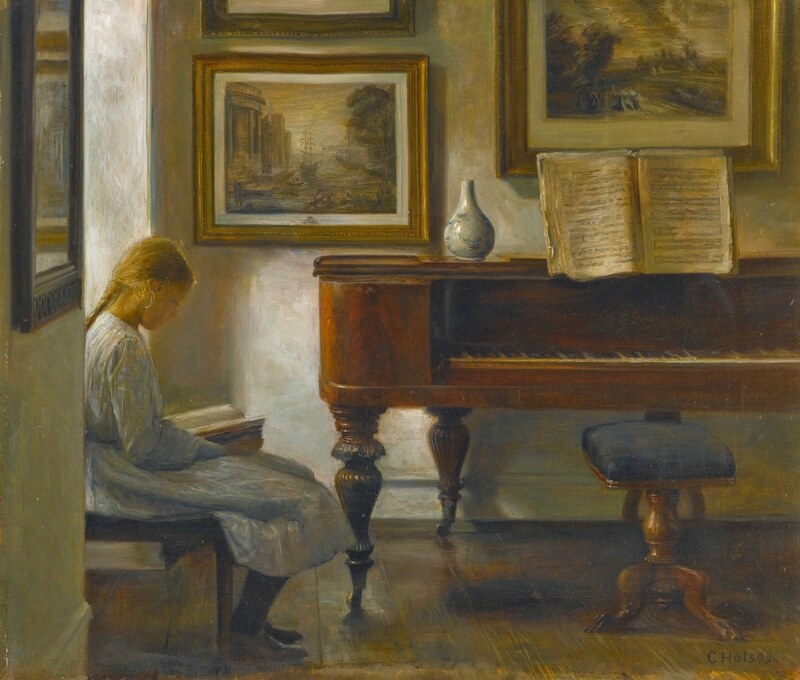 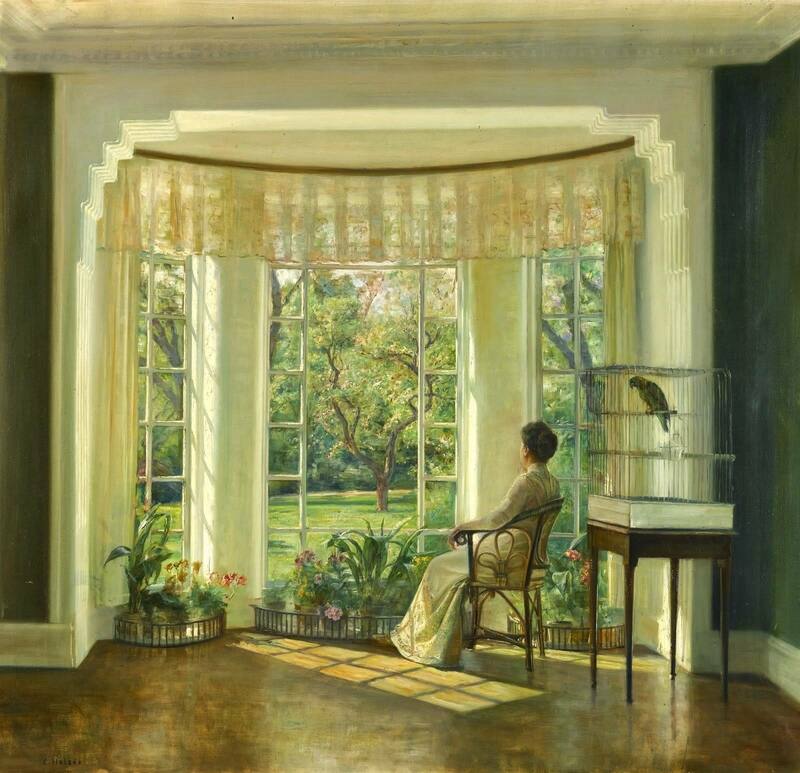 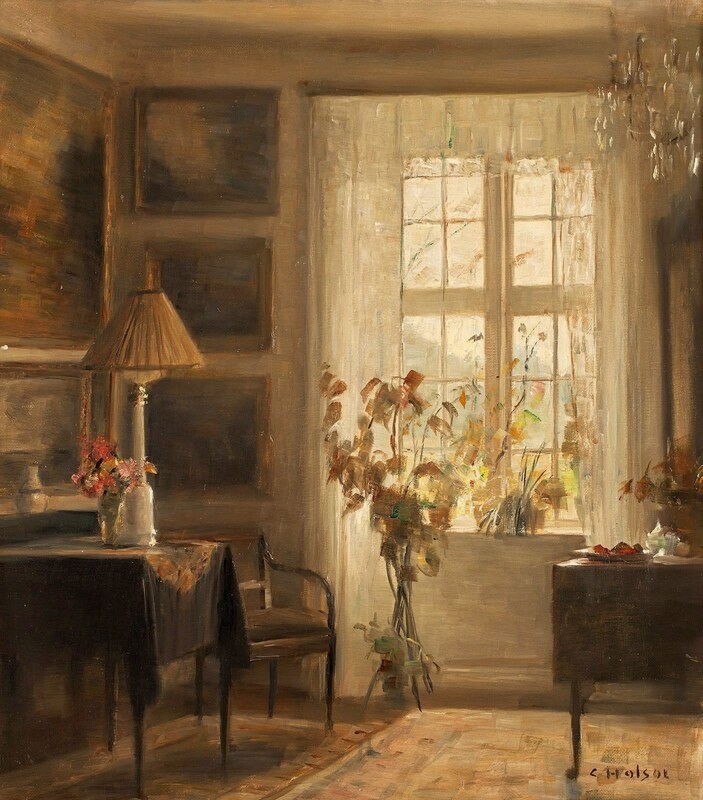 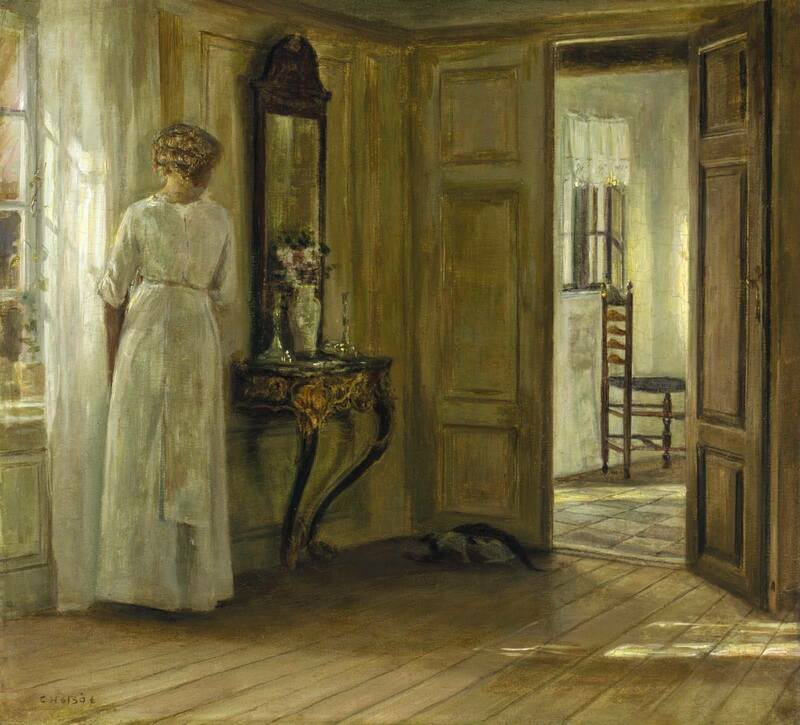 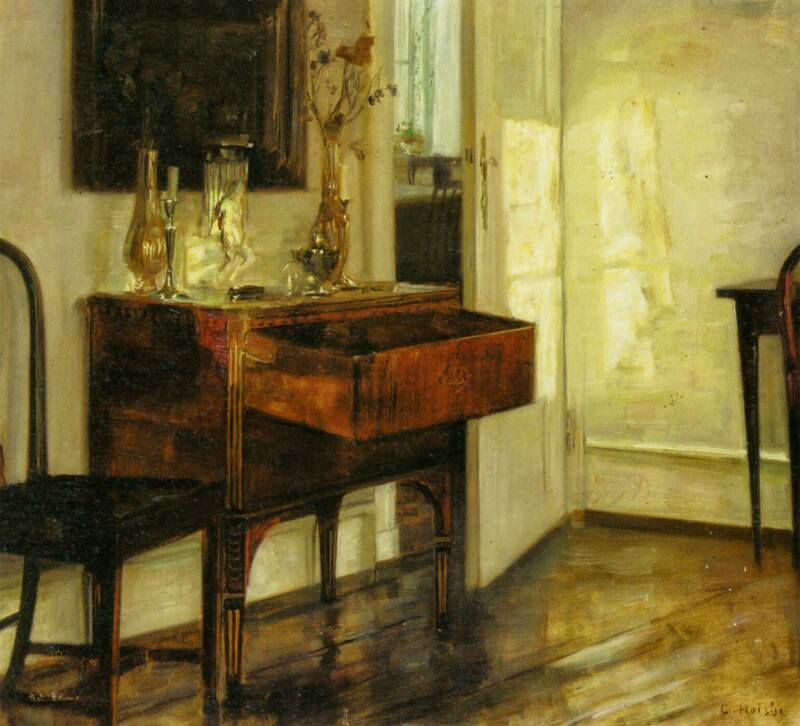 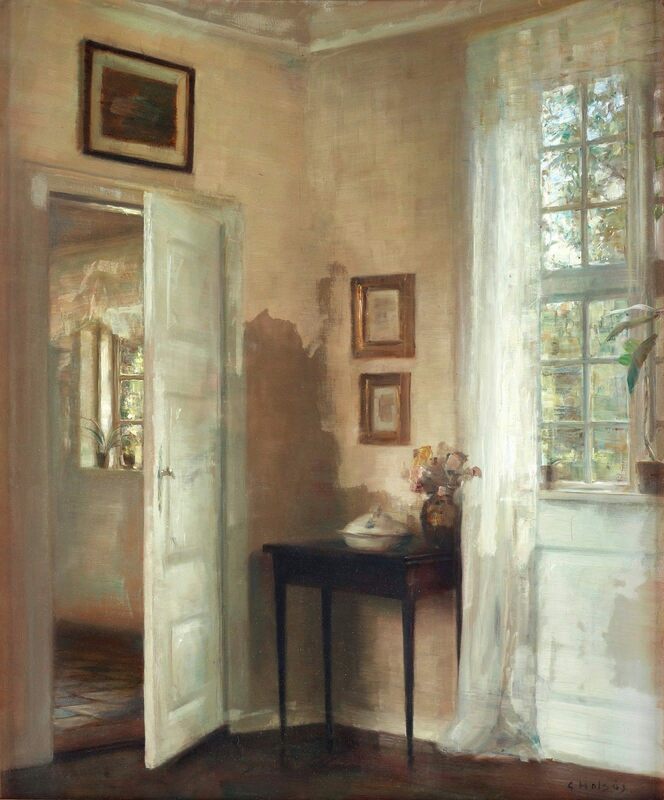 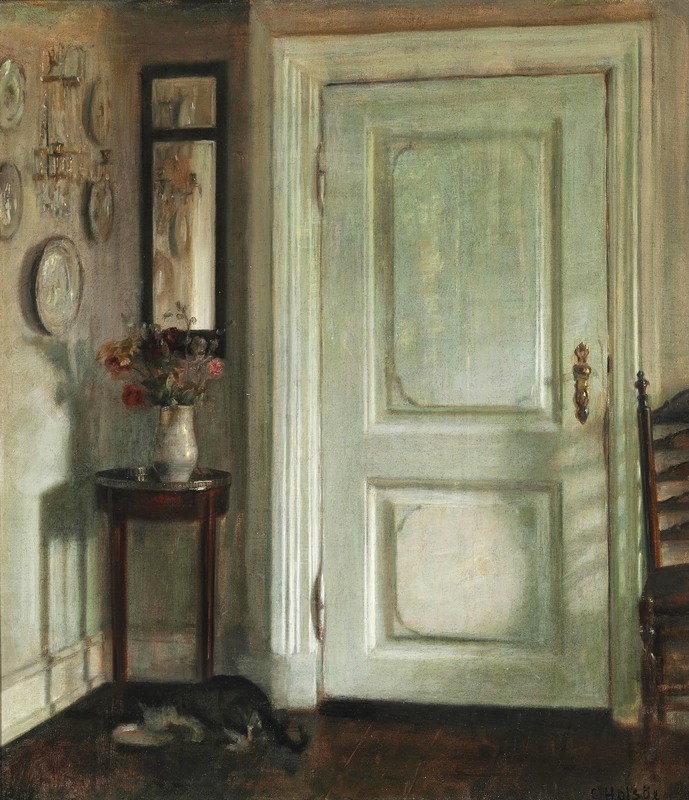 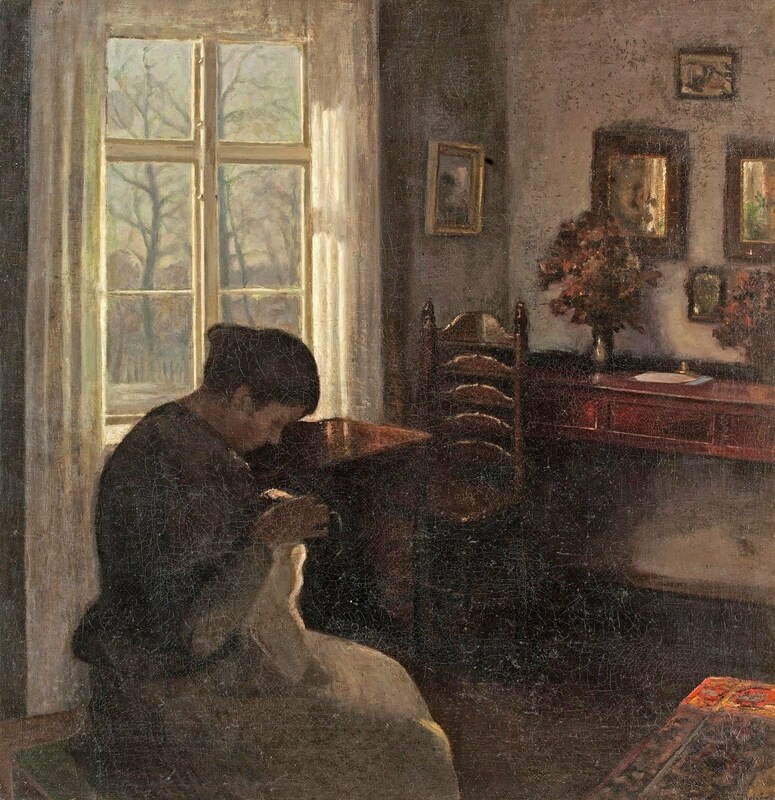 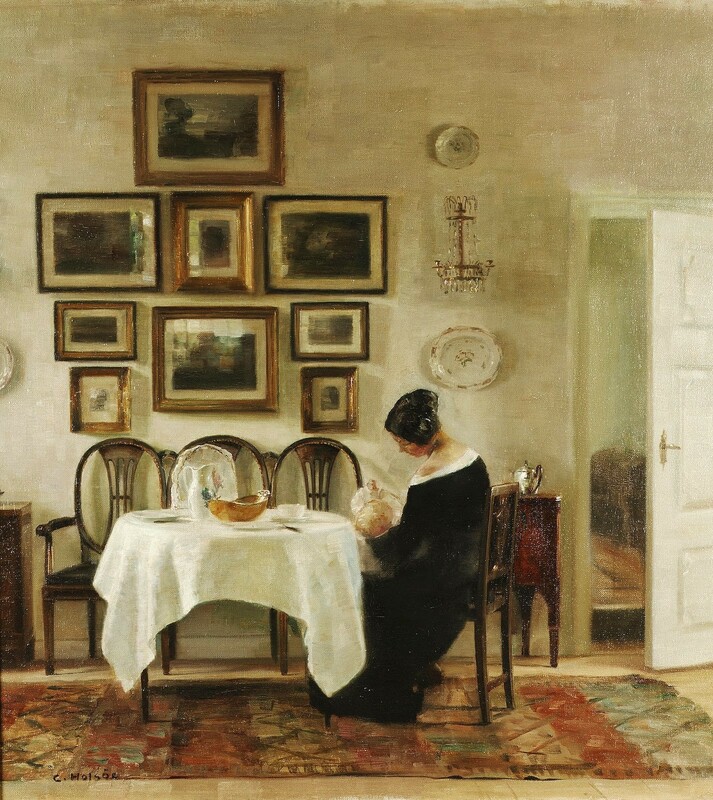 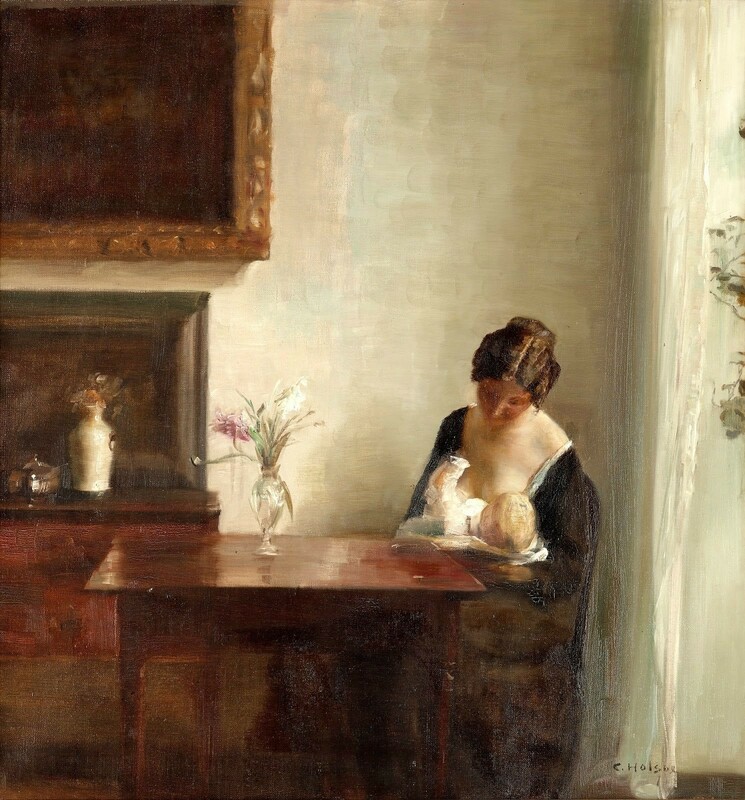 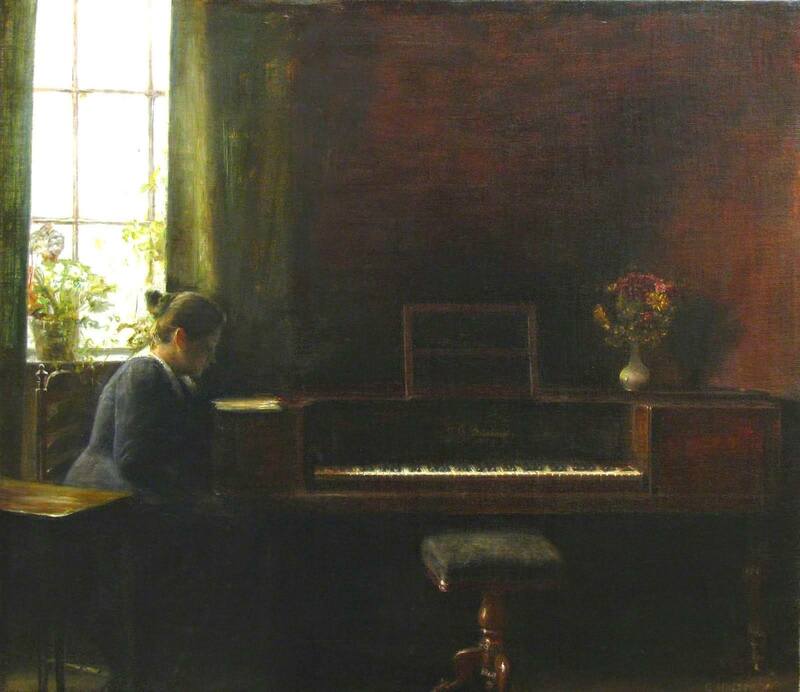 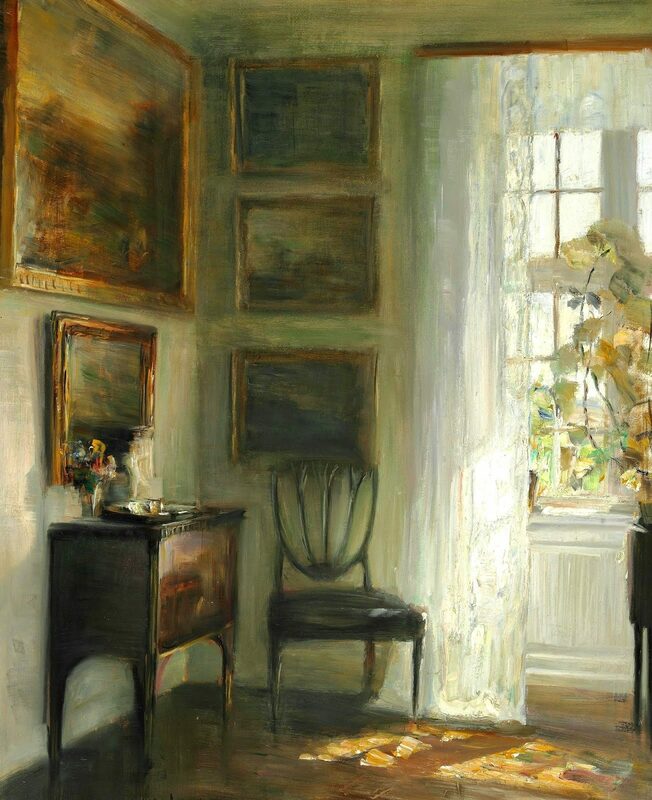 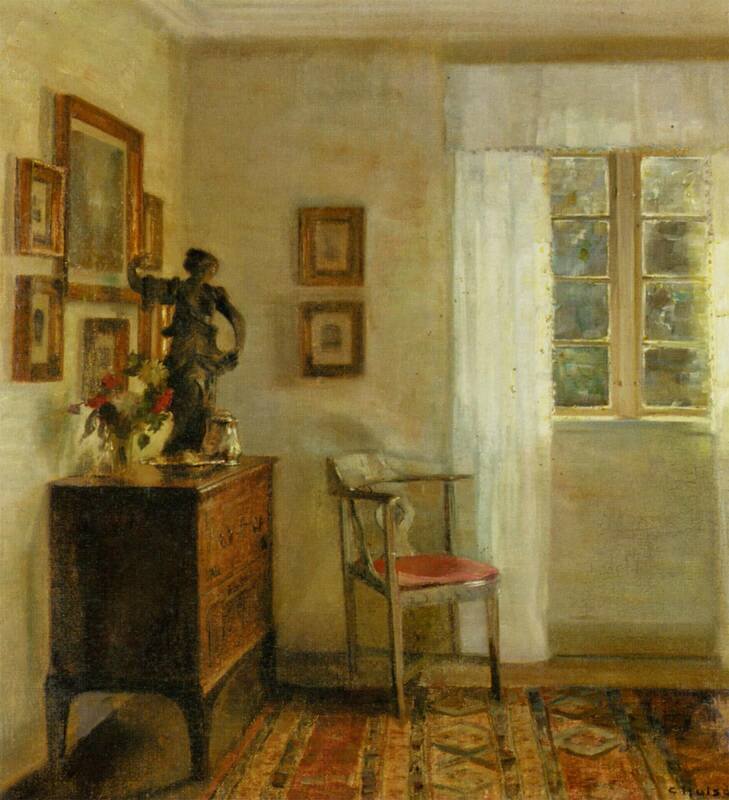 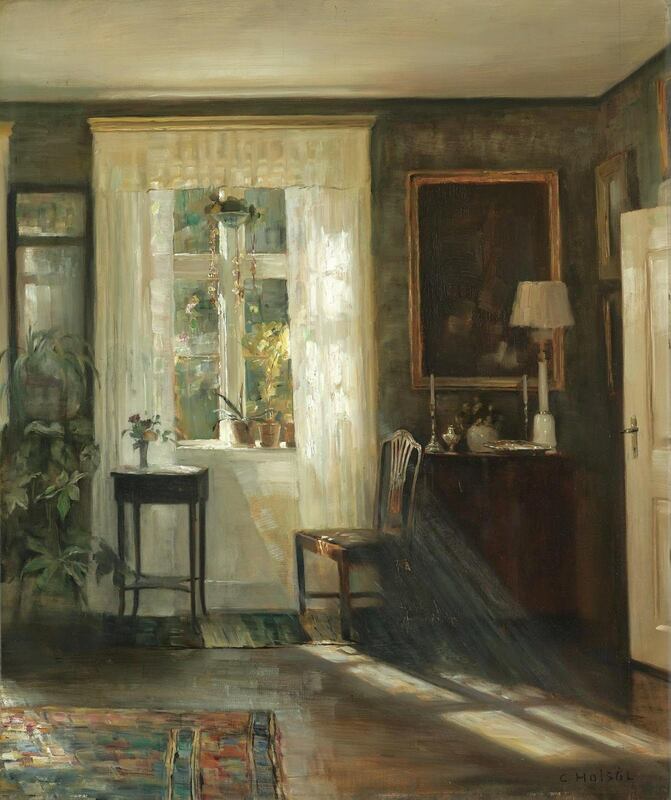 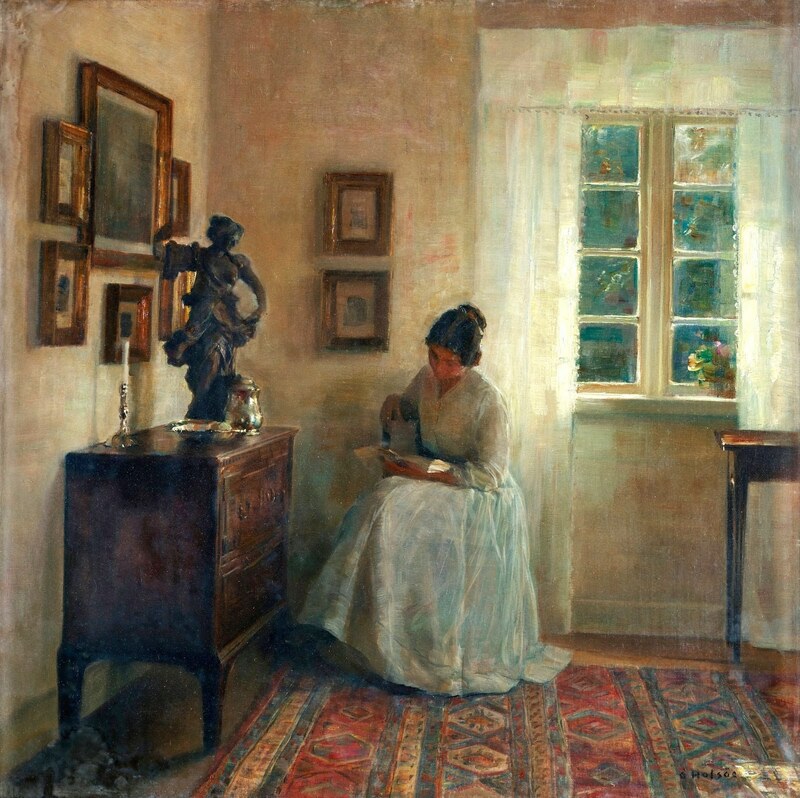 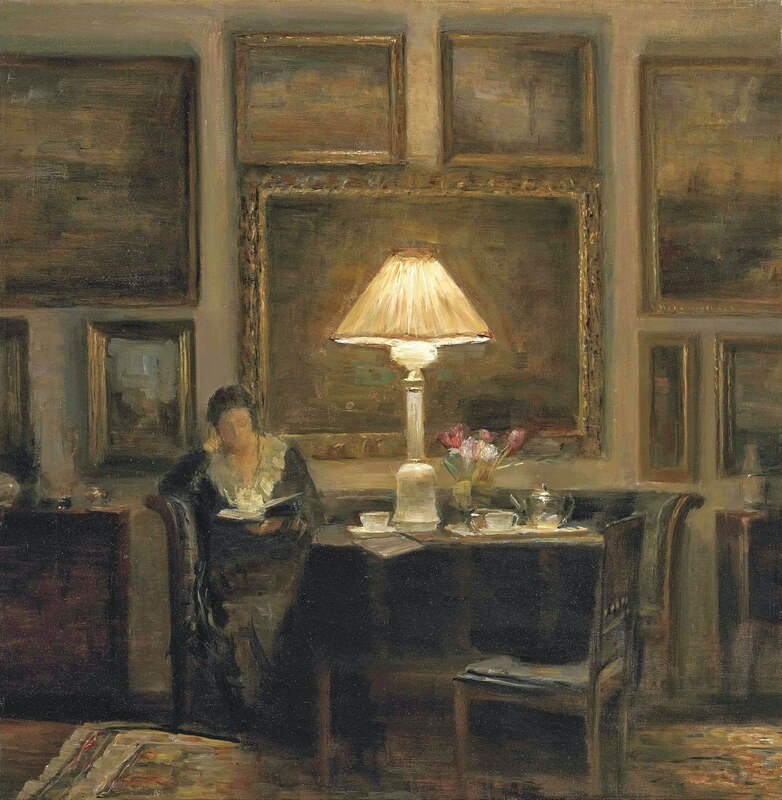 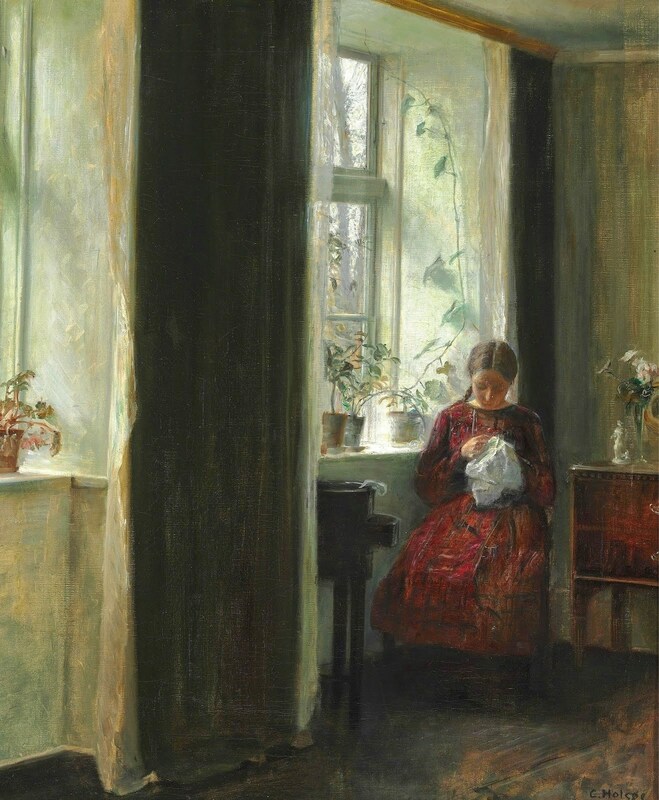 Carl Vilhelm Holsøe (Aarhus, 12 March 1863 - Asserbo, 7 November 1935)⏯ was a Danish artist who primarily painted interiors. 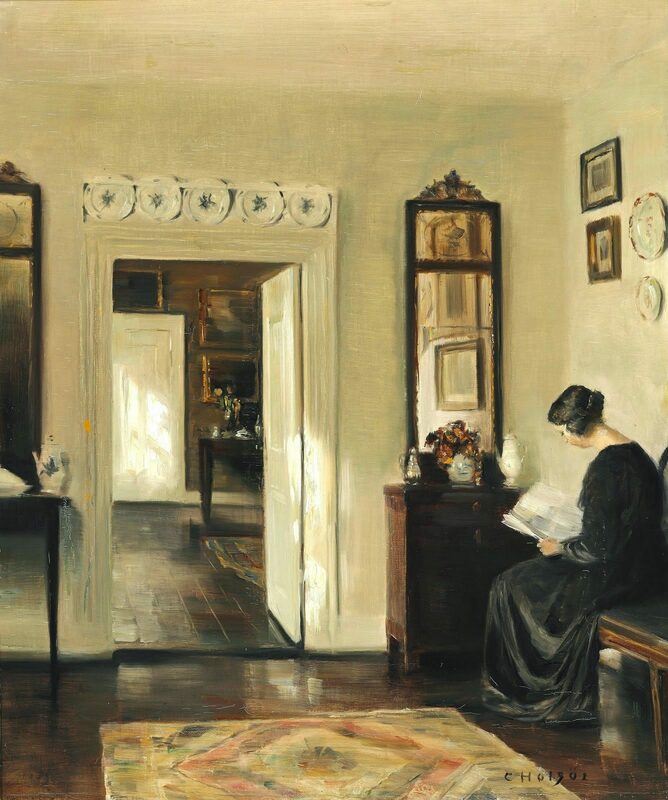 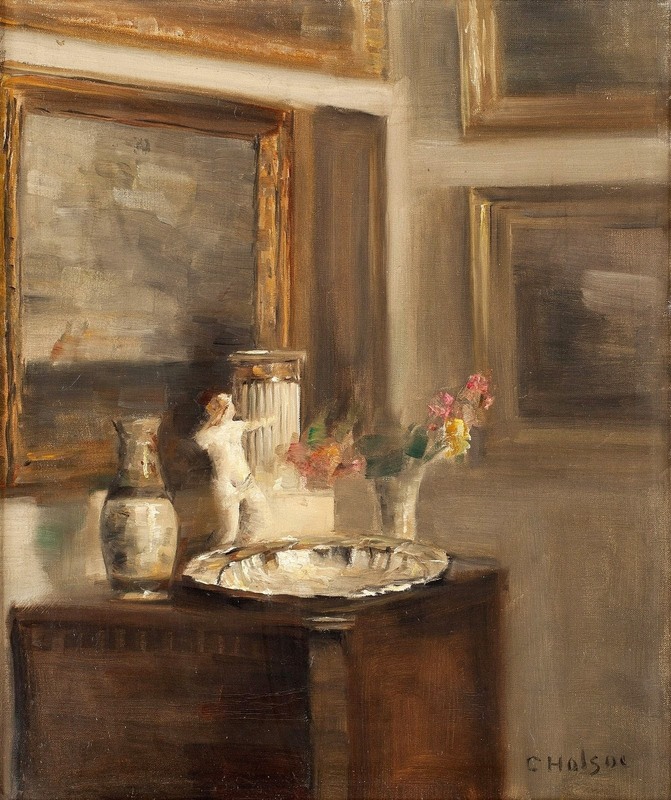 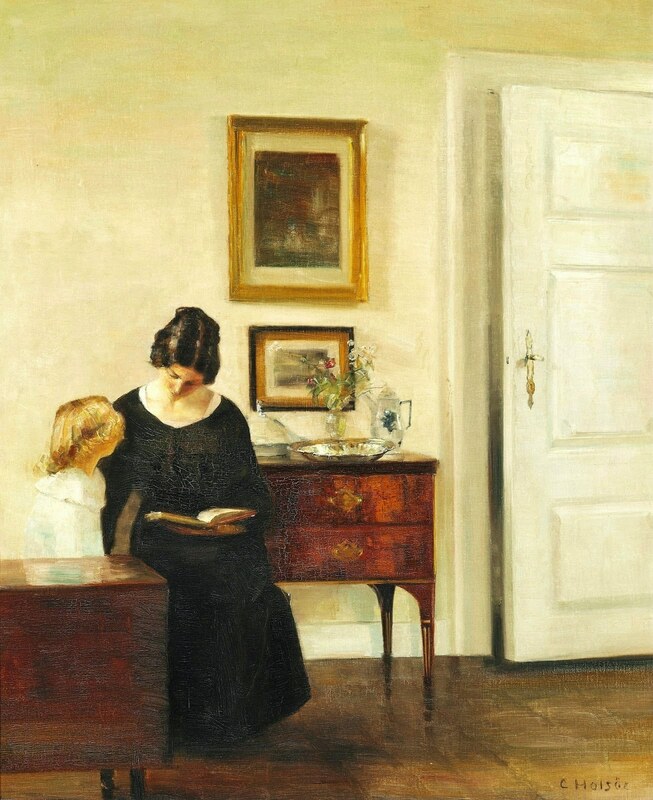 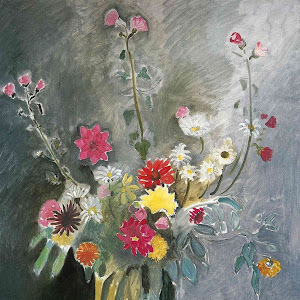 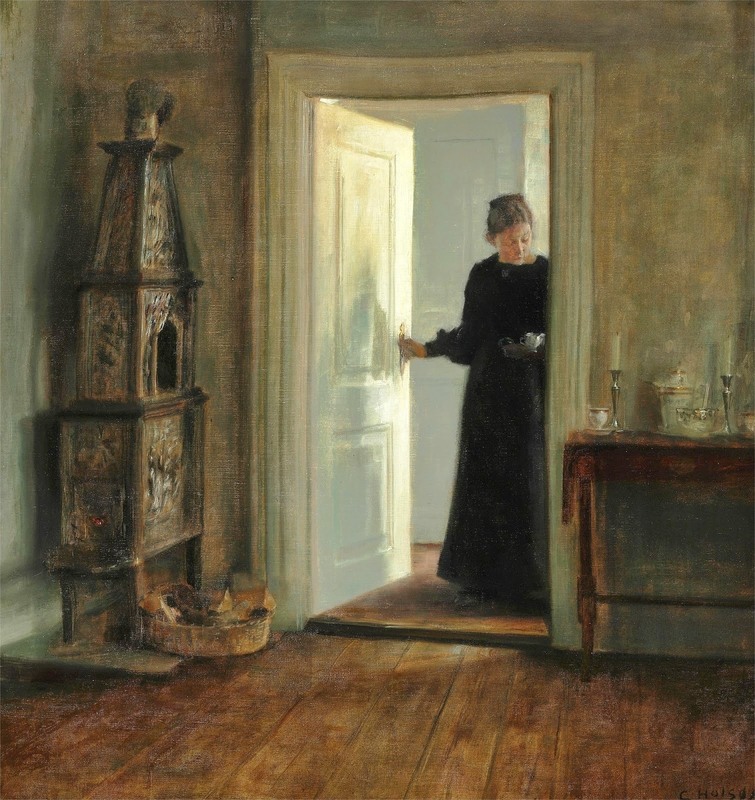 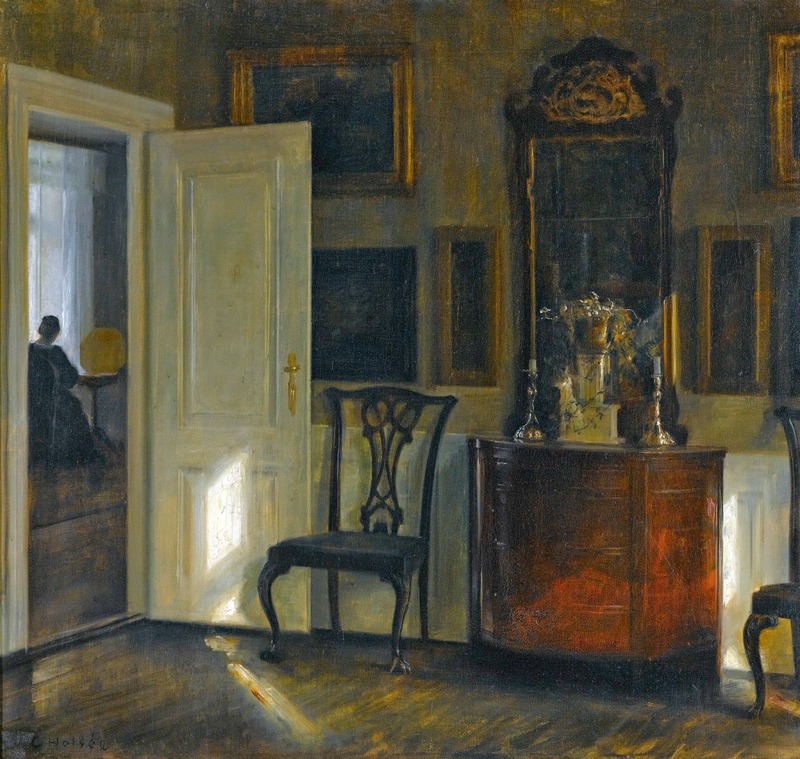 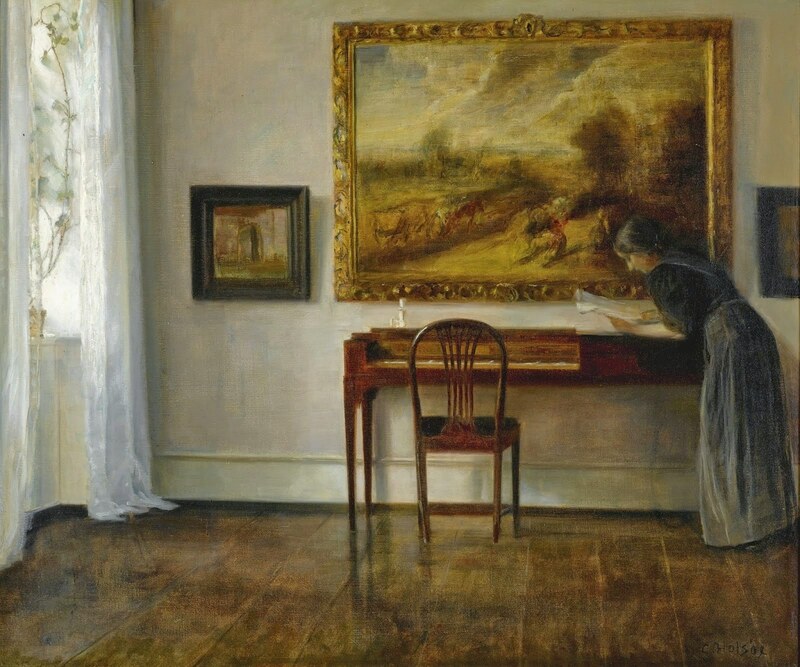 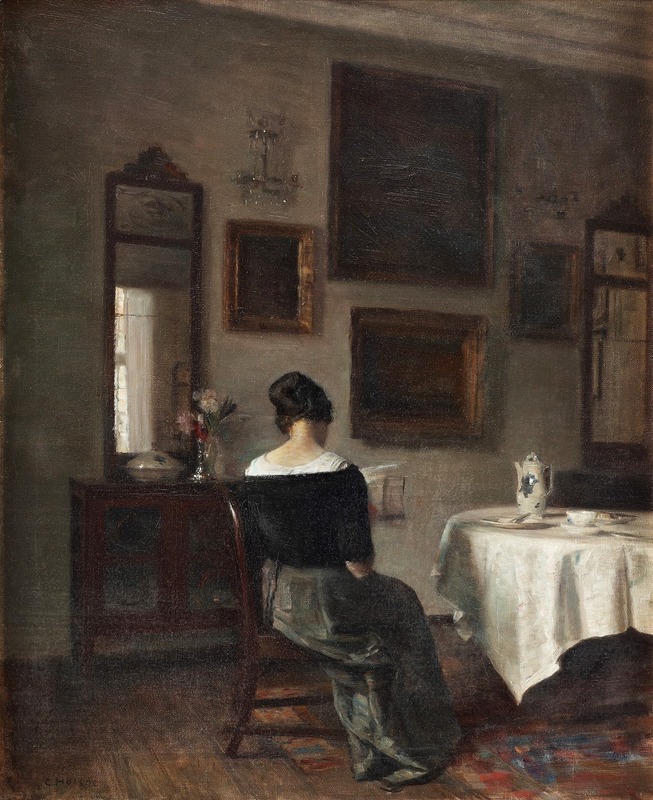 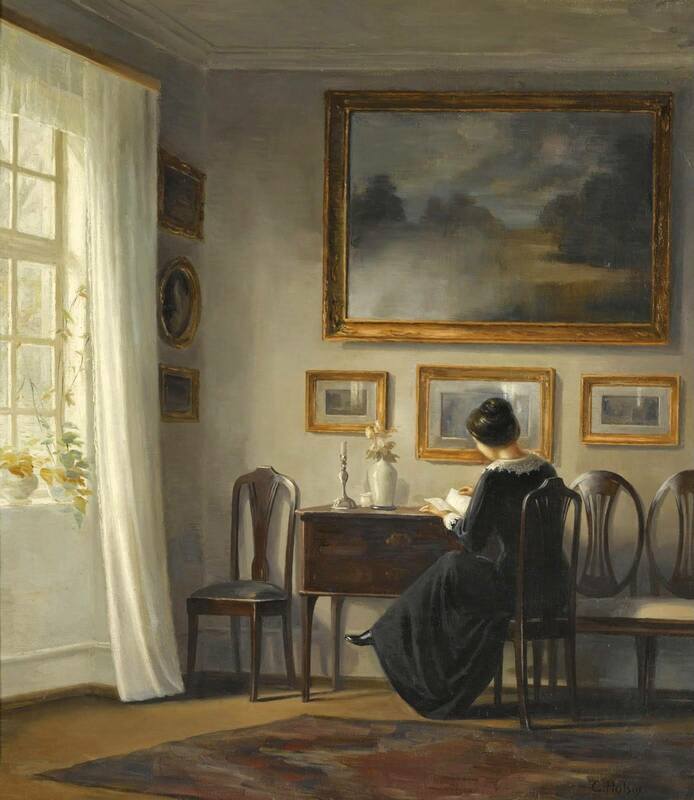 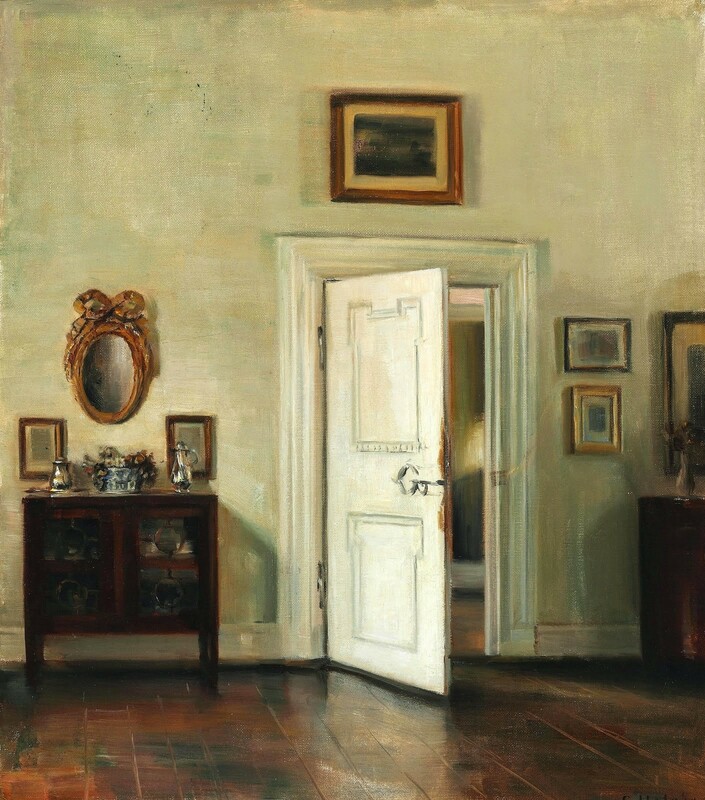 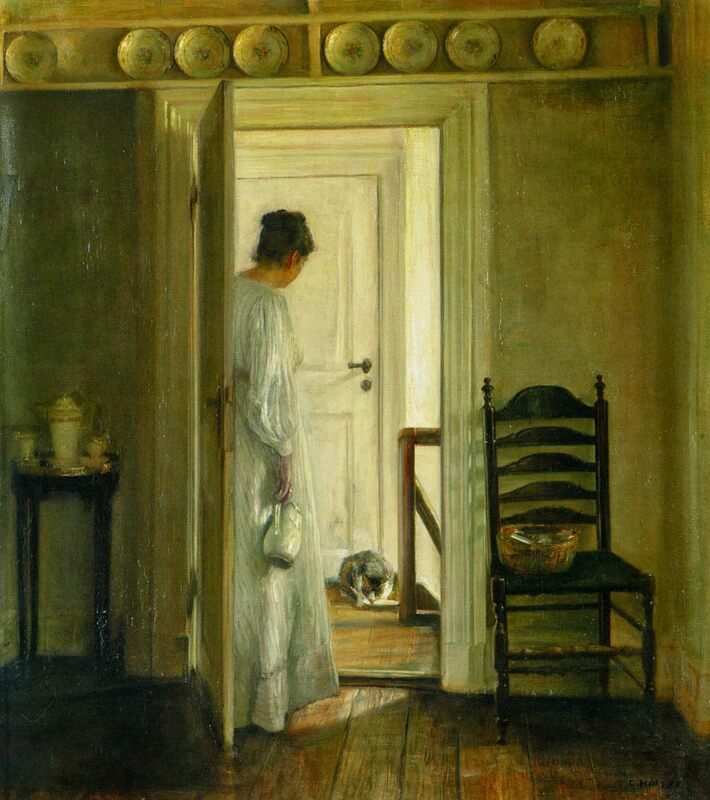 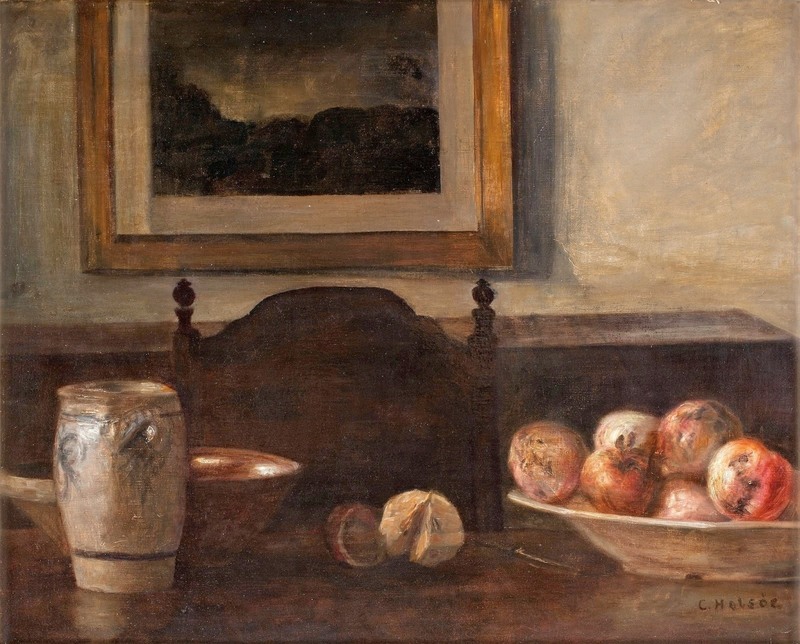 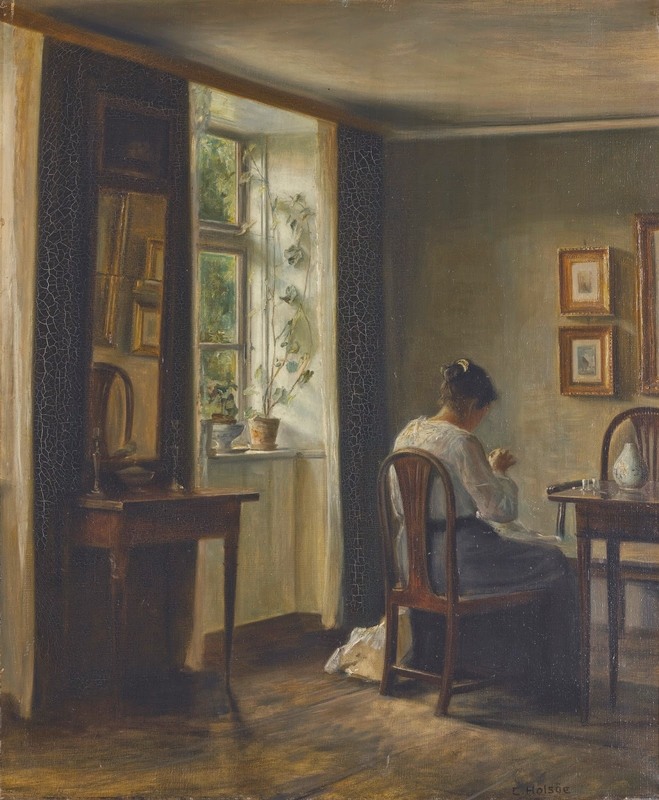 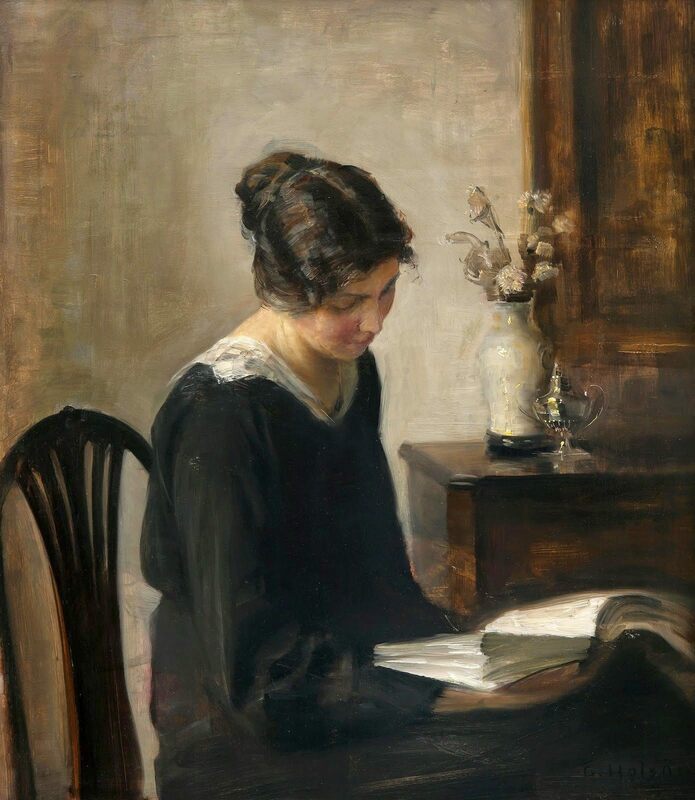 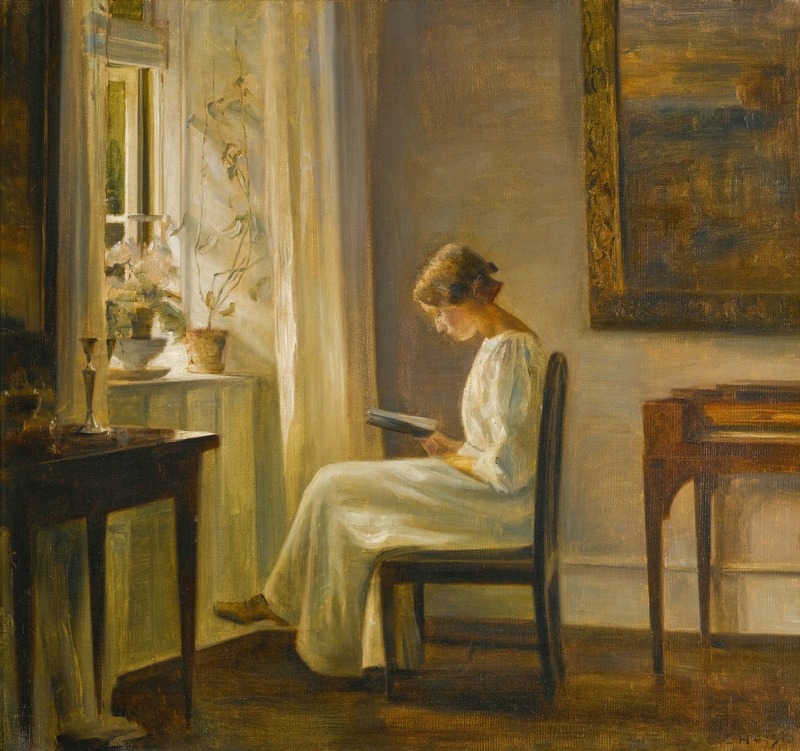 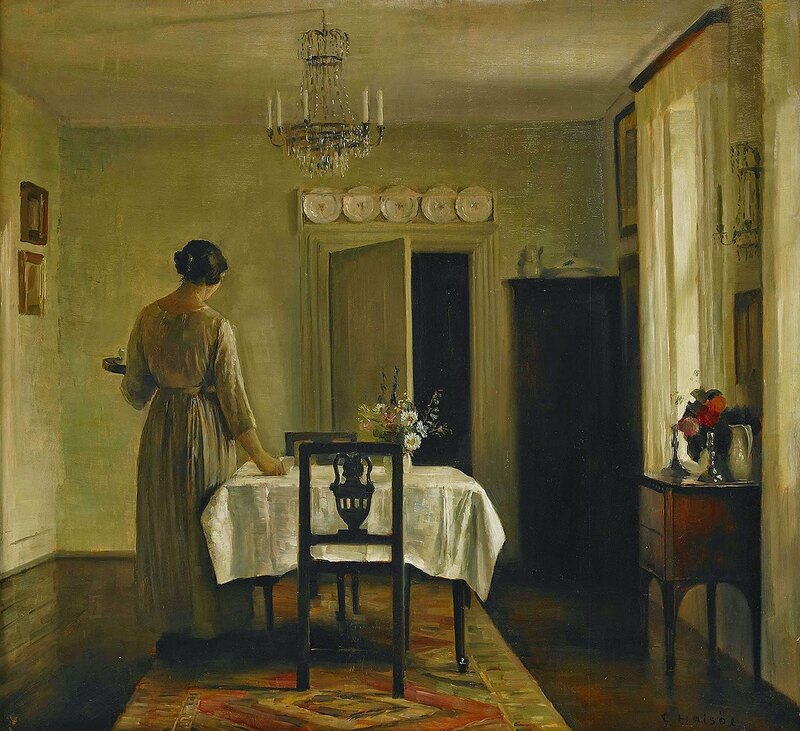 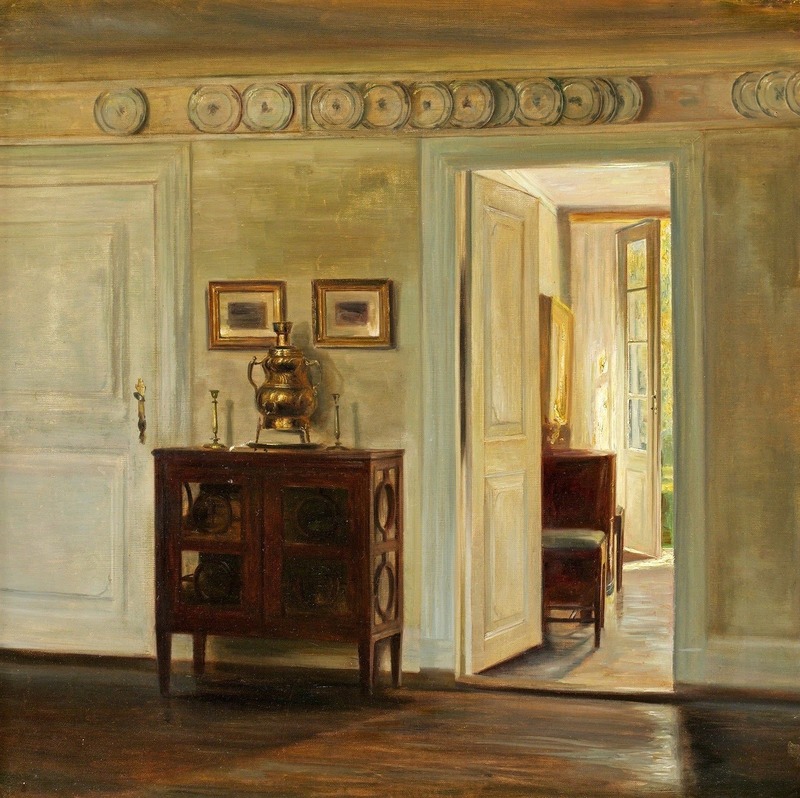 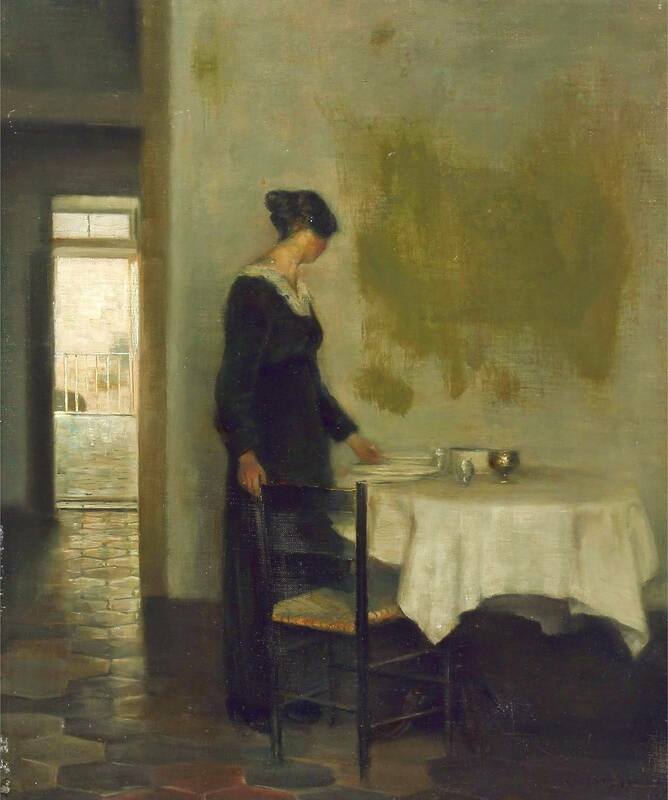 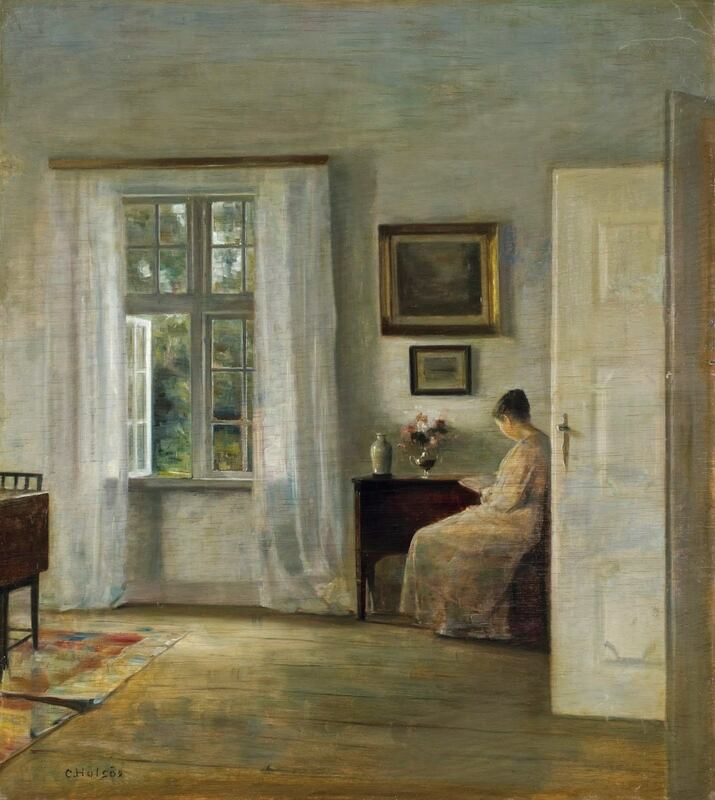 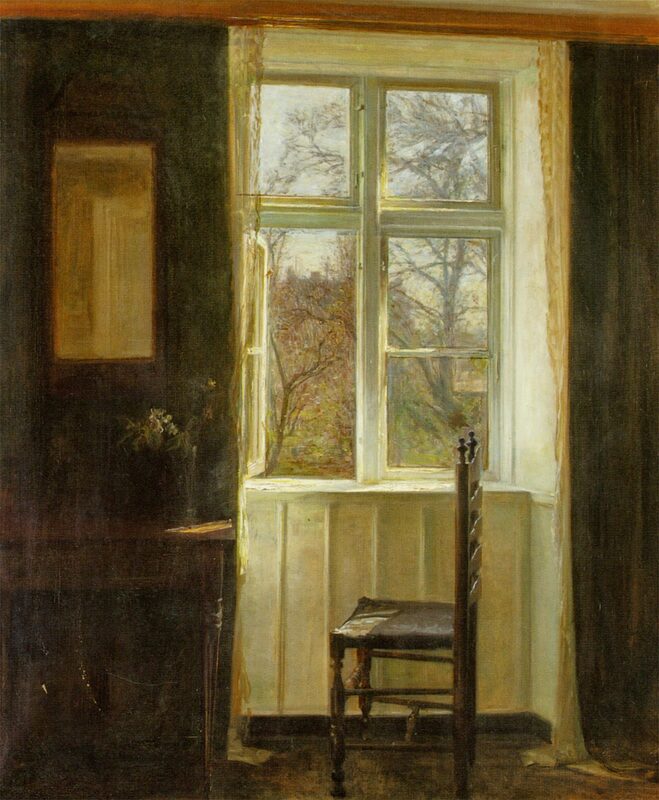 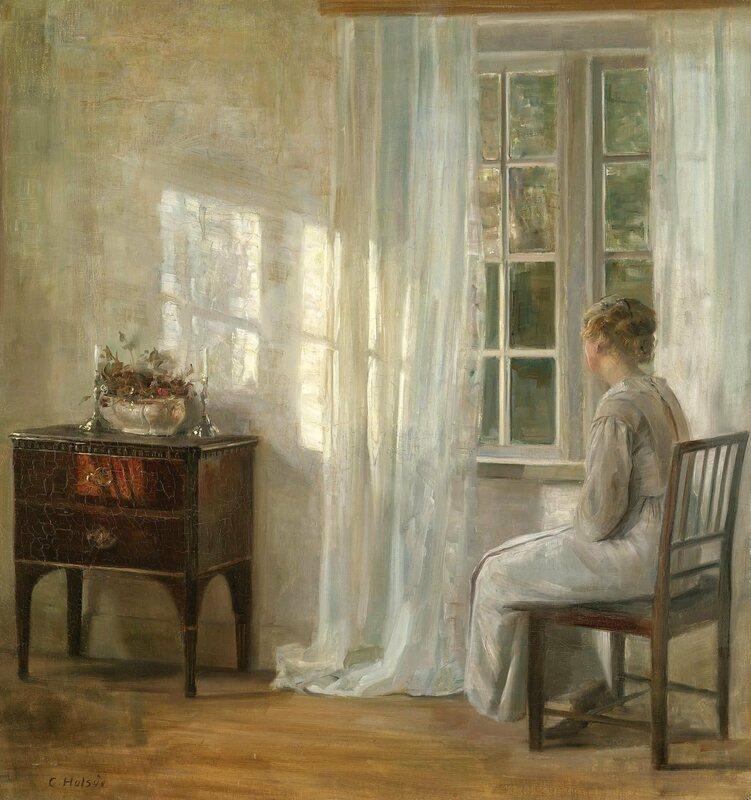 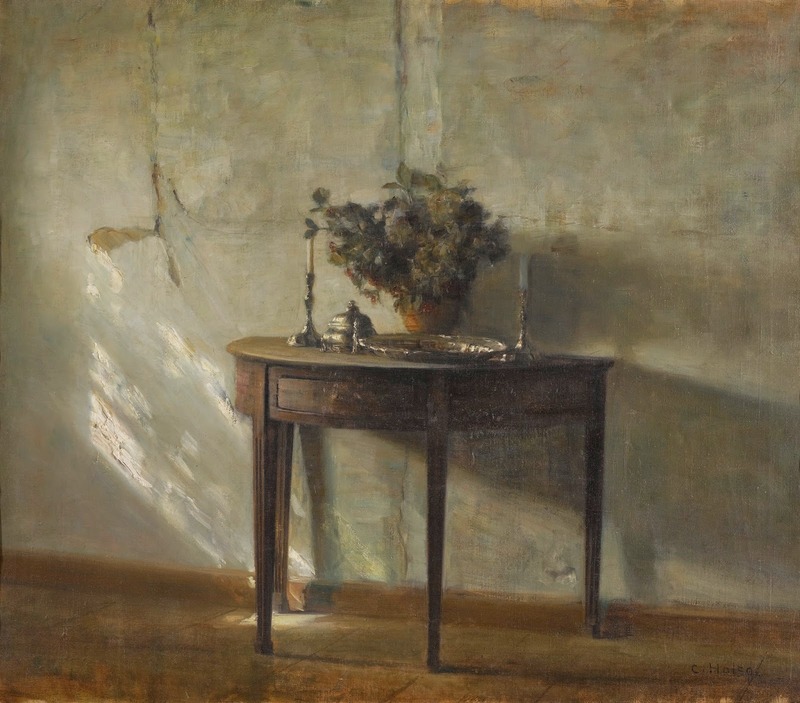 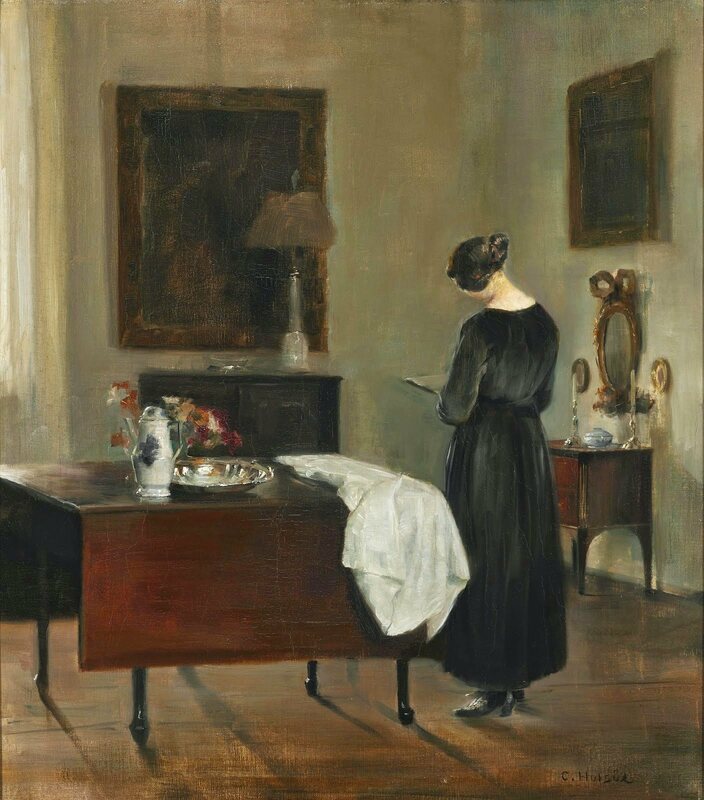 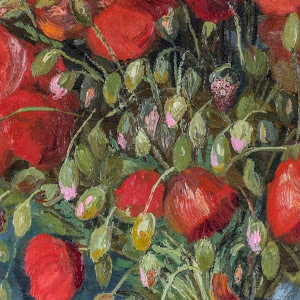 olsøe's paintings include landscapes, still lifes and flowers, but like Hammershøi he primarily painted domestic interior scenes; they undoubtedly influenced each other, but it is impossible to know who first gravitated towards this subject. 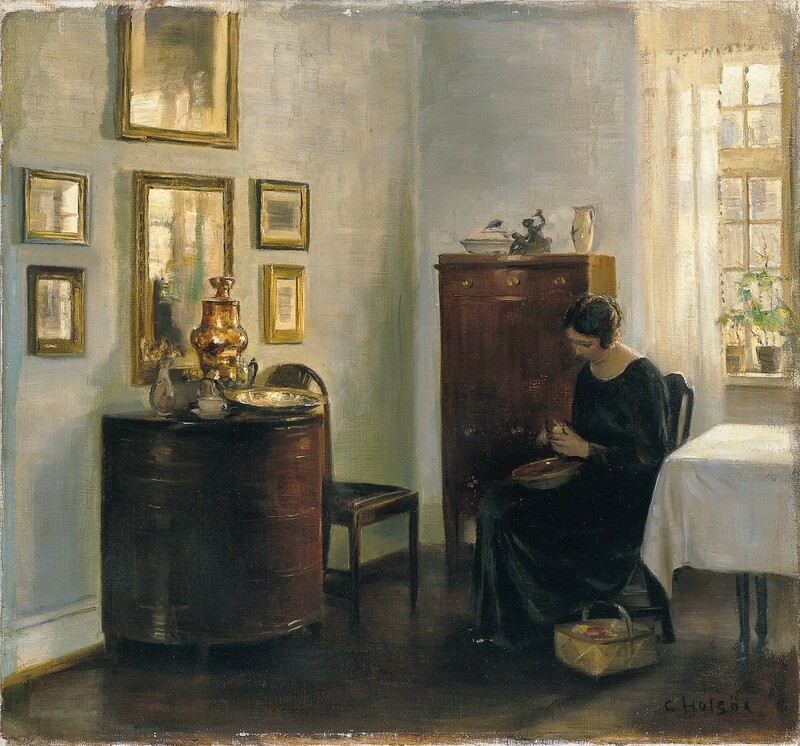 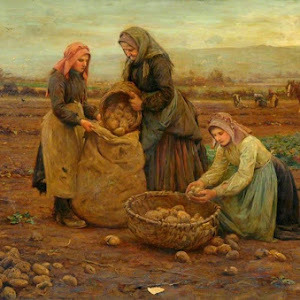 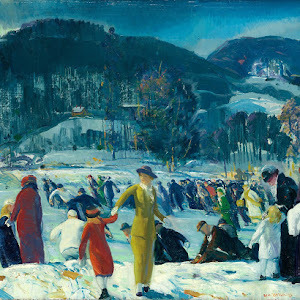 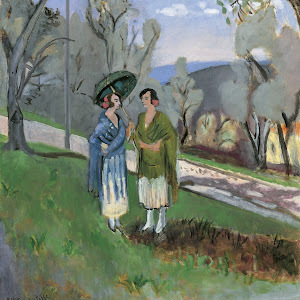 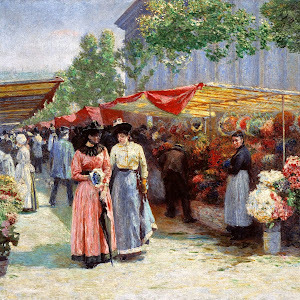 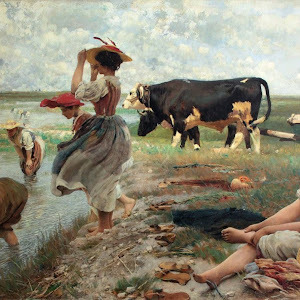 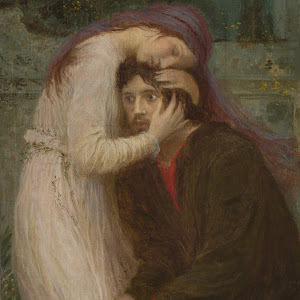 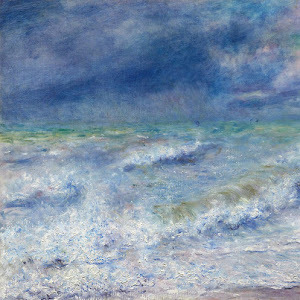 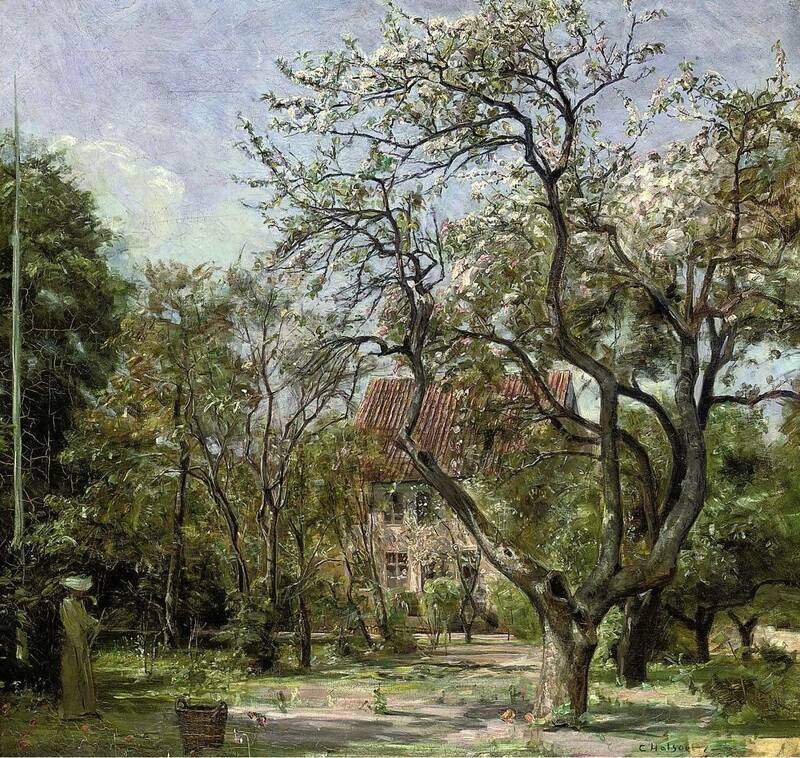 It was in general increasingly popular among Danish painters as the country became more industrial, with implications of refuge and restoration from professional life and the city. 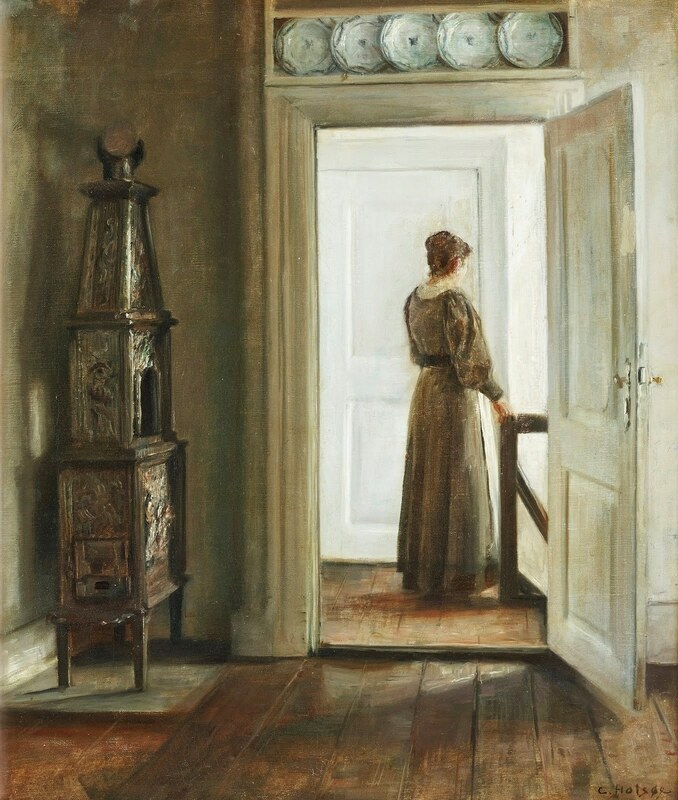 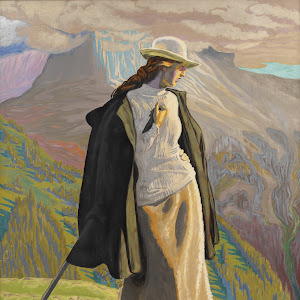 Holsøe's works have come to be overshadowed by Hammershøi's: his coloration is less subtle and although there are characteristically one or sometimes a small group of figures, Holsøe's work is less innovative and unemotional by comparison with Hammershøi's expressionism. 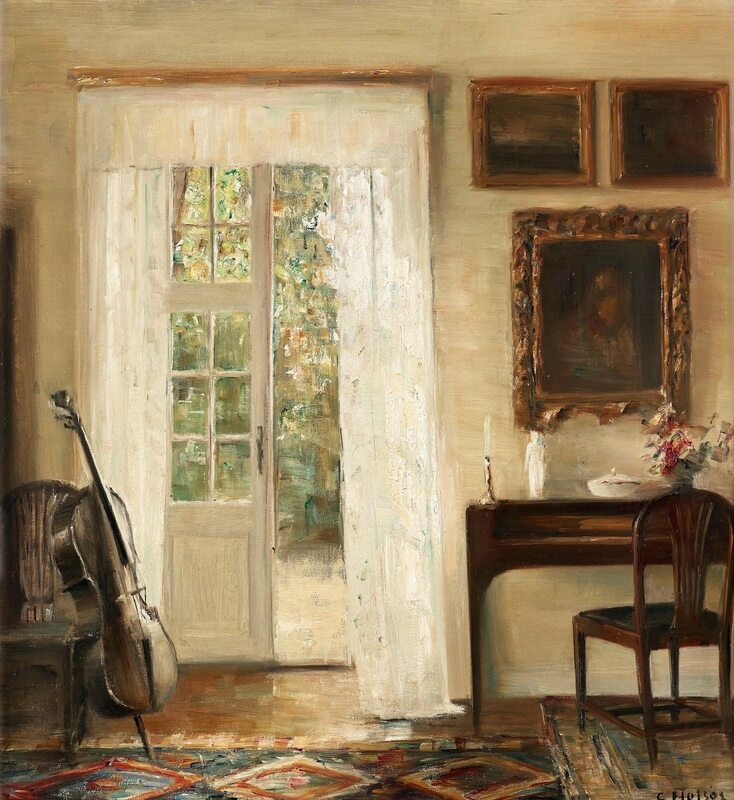 In his mastery of form and enjoyment of the beauty of things - characteristically high-ceilinged rooms with mahogany furniture - he has been compared to the Dutch masters⏭. 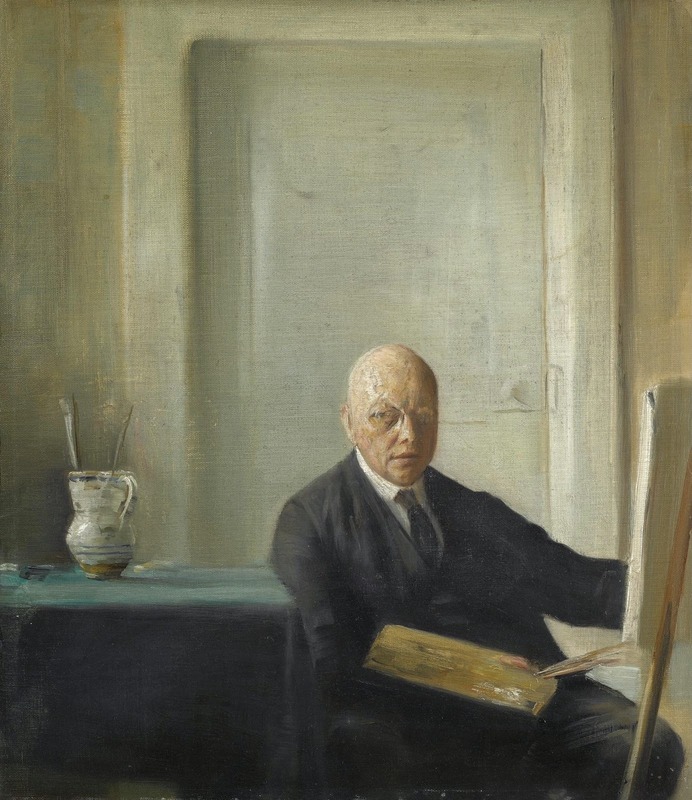 His paintings have been forged (with difficulty).